Enriched with active Hyaluronic acid and plants extracts that help skin ageing fight. 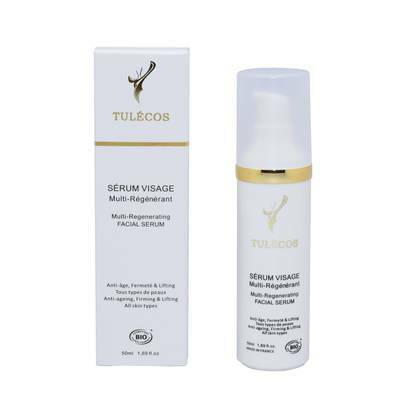 Multi-regenerating face serum prevents dryness and protects from environmental assaults. This genuine care suitable for sensitive skins corrects visible wrinkles, nourishes and protects by providing firmness and softness. Skin is illuminated and regains its youth tone.